Welcome to my website. 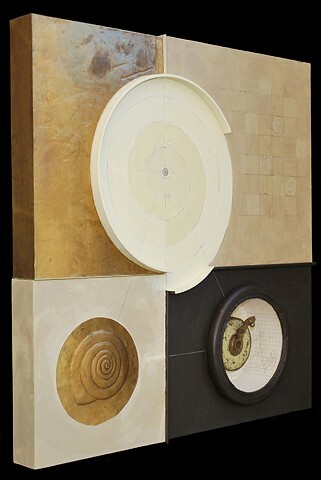 To access my art go to PORTFOLIO and select from the two series of mixed-media constructions, as well as my sculpture that was exhibited in the MCA Surrealism: The Conjured Life exhibition, MY PROCESS documents a work being constructed. Surrealism: The Conjured Life, Nov. 21, 2015 - June 5, 2016. Link to the Huffington Post review of the Surrealism: The Conjured Life exhibition: www.huffingtonpost.com/mutualart/surrea? The New Museum Of Contemporary Art, NY NY now has a digital history on line of my Queen's Ring Temple installation that was exhibited there in 1982. The Art Institute of Chicago has been gifted eight of my sculptures. Six of these are from the Robert A. Lewis Collection and two from my collection.